Every marketing and HR professional we speak to knows their team needs headshots. They all want it, and one of the main reasons we hear: they just don't have the time to book it, organize their team or work with each staff member to get selections. We spend considerable time thinking through these issues and came up with solutions. Scheduling: First we send you a link to your customized scheduling tool. Your team can use that link to sign up directly for a time that works for them. We send you a list ahead of time so you can see who signed up and when. Image Selection: Our on-site selection tool is a valuable time-saver for larger teams. After an employee has their photo taken they step over to the viewer and choose their favorite image. We present you with an edited gallery of all final selections as well as a spreadsheet with the subjects name and image number. 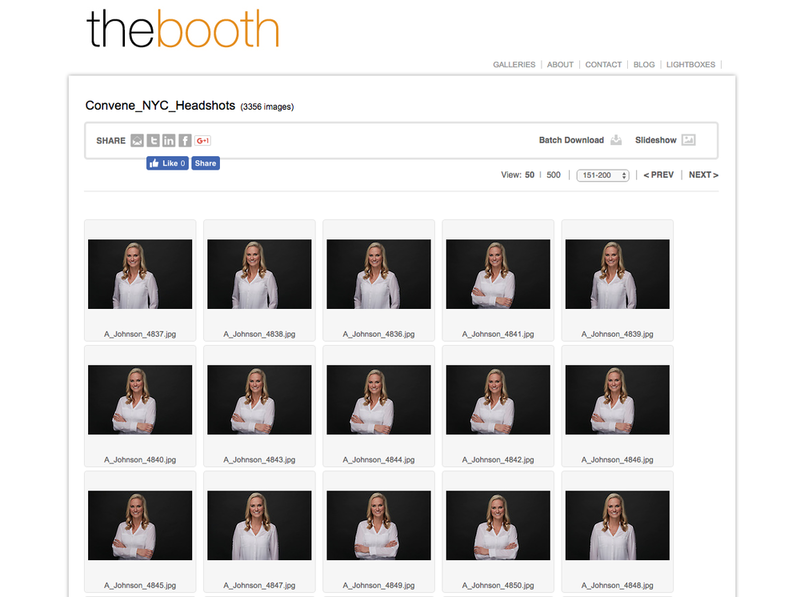 Our goal for The Booth for Business is to simplify every step of the corporate photography process. These are two of the tools make it easy.